osCommerce (Open Source Commerce) is a free solution for online store software, representing an alternative to other e-commerce platforms such as Magento, OpenCart, PrestaShop. Open Source Commerce (osCommerce) is a complete self-hosted online store solution that contains both a catalog frontend and an administration tool backend which can be easily installed and configured through a web-based installation procedure. 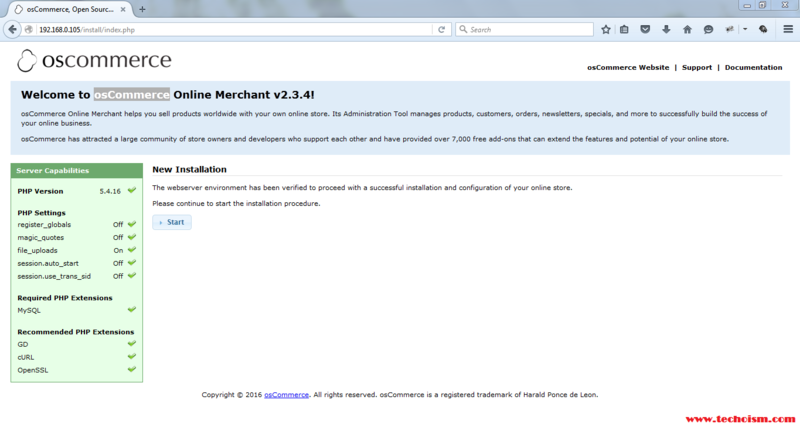 In this tutorial we will show you how to install osCommerce on a Linux. 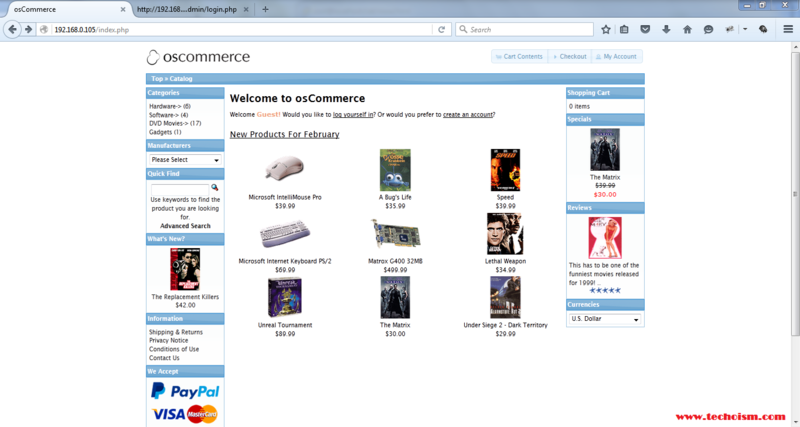 osCommerce is an Open Source, PHP based application which can be downloaded for free from osCommerce’s official website. 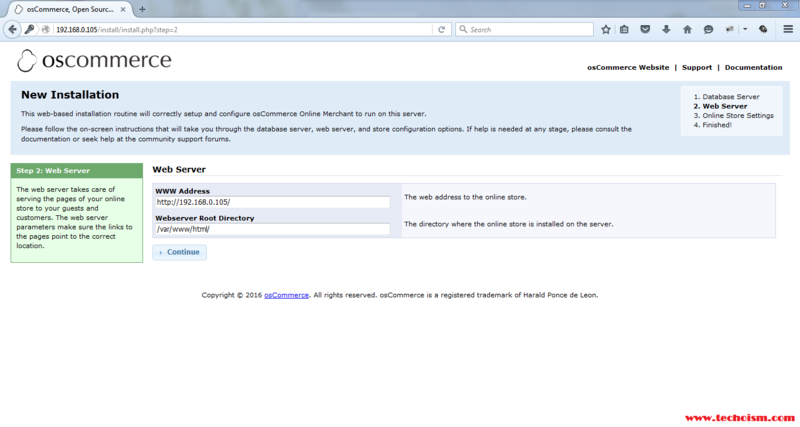 Now enter the web address of your store and the webserver document root and press Continue. Now enter detailed information about your online store and click continue. After you finish the installation process, enter command line again to the server and issue the following commands in order to revert changes made to osCommerce configuration files. Also remove the installation directory. 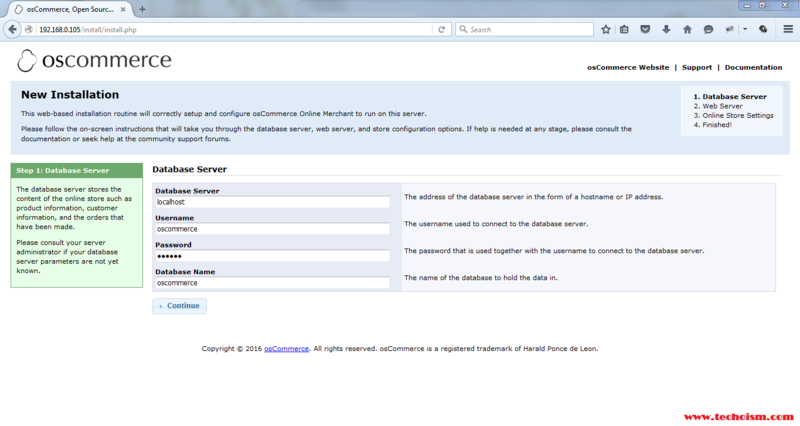 Next, access osCommerce Admin Panel using the following address and login it using credentials. Also navigate to Tools -> Security Directory Permissions to get the recommended application permissions. The Administration Tool should be further protected using htaccess/htpasswd and can be set-up within the Configuration -> Administrators page. 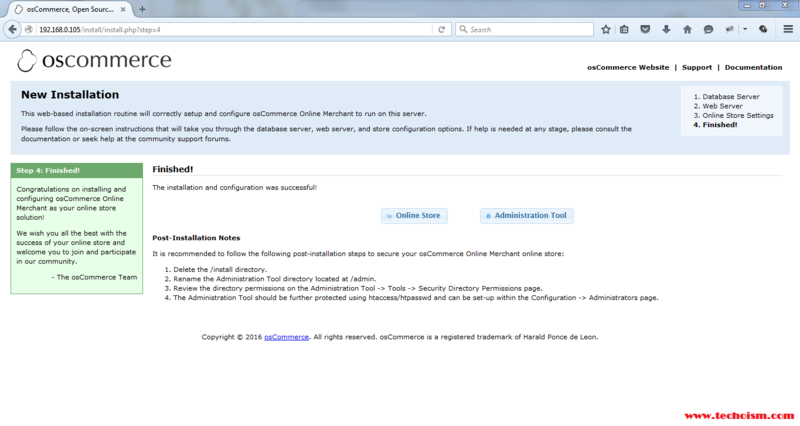 Then, navigate to Configuration -> Administrators, click on Edit button and fill it with your credentials. 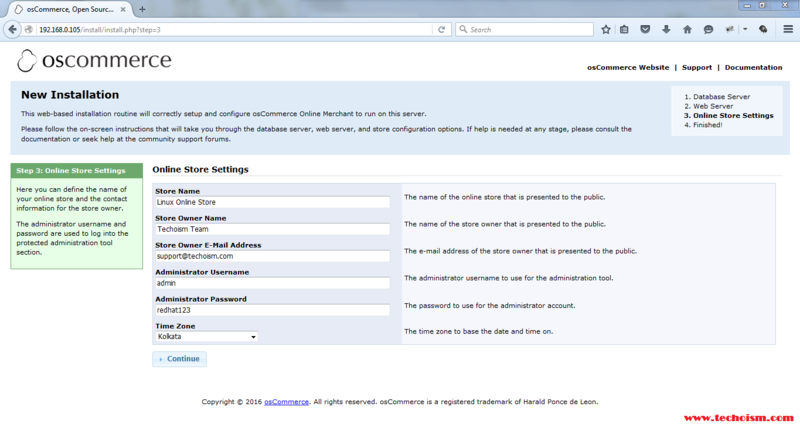 Save the new configuration and server authentication will be enforced as illustrated on below screenshots. Access osCommerce using following link.